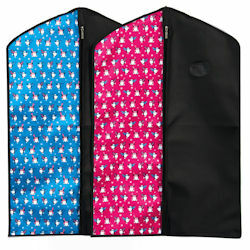 New penguin print ice skate dress garment bags to keep your clothing safe, dry and clean. Full front zipper, skate embroidery logo and a clear window. New for 2016 from Jerrys Skatewear and designed to match their range of ice skate bags.